Ugandans desire for a country where basic services are accessible and available; a country where there is representation for all regardless of social, cultural and other backgrounds, with leaders who mind about the progress of the nation and the people. It is possible and I should say that we are making strides and one of the ways is through effective budget advocacy processes that stand out to lobby for change in a bid to ensure basic needs like health are adequately prioritized while budgeting for the country. The budget advocacy process has resulted into the development of the national budget framework paper for financial year 2016/2017 that is referenced to the National Development Plan II (2016-2020), as well as ministerial policy statements and sector performance reports. The paper has been shaped to focus in a more consultative process that involved national stake holder consultations and Civil Society Organizations under the Civil Society Budget Advocacy Group (CSBAG). Although the high level engagement and consultations would generate impact gains, if peoples’ views and ideas are respected, refined and incorporated into national priority goals, participation in the budget processes should be both a means and an end to itself. It should be a productive space for the public in the sphere of civil society organizations to offer input into the budget development process in order for it to resonate with the human rights principles of community participation. In review of the ministerial policy statement 2016/17, Ug.shs 44.99billion has been allocated as recurrent budget to run health service delivery under Primary Health Care services. This is envisaged to support 137 local governments with 56 General Hospitals, 61 Private Not For Profit Hospitals and 4,205 Lower Level Health Units. It is thus critical that government and policy makers strive to incorporate community needs in the budget framework. Critical and measurable action steps should be manifested towards prioritizing community needs of the 19% Ugandans that live below the poverty line and those who suffer catastrophic expenditures on health care. It is therefore imperative to prioritize and increase funding for primary health care under the local government funding. This is expected to impact significantly on access to health care and also check on the regional disparities in access to health care. The district Primary Health Care grant in financial year 2016/17 is proposed to be reduced by 1.5 billion. This reduction will affect service delivery at the lower health facility level. However, a study undertaken by the ministry of health indicated that in order to enhance health service delivery in the local governments, an additional Ug.shs 35 billion is required to make the current facilities operate at a reasonable level. Primary Health Care funds support the functionality of health facilities, it provides for basic health services, utility bills and remuneration of support staff. 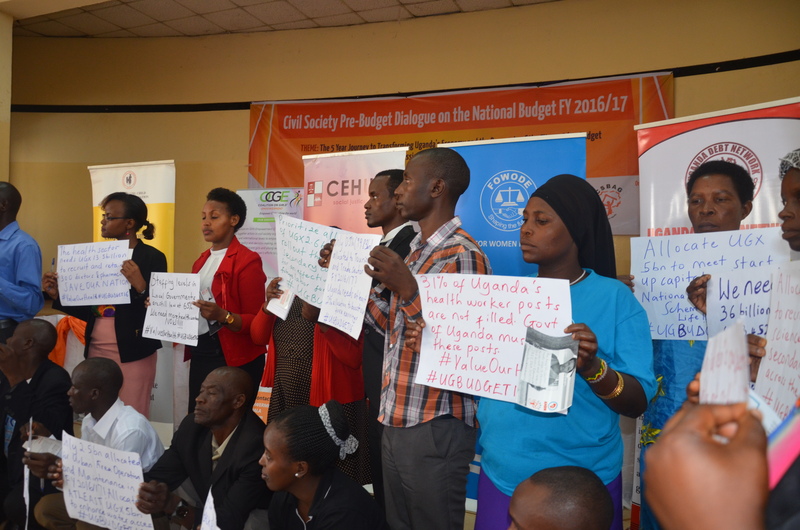 It is upon such a background that the Civil Society Budget Advocacy Group(CSBAG) advocates to government to allocate an additional Ug.shs 35billion to local governments to cater for provision of adequate Primary Health Care Services, in order to increase access to health care services. It is thus prudent for government to reinforce strategic plans with community views and interests. The local government financing should be prioritized to improve access to health care services in local governments. The intervention is foreseen to decongest the national referral hospital. This is in line with the global movement of increasing access to health care services a critical aspect in framing the right to health which promotes equitable health provision for all Ugandans.